Schön is a magical world, filled with enchanted beings and mystical phenomena. Some of these magics are a part of the natural world as created by Adoni, the One. However, there are magics which are perverse distortions of Divine intent, twisted in large part by the Dark Consortium―ancient beings of power who have set their wills against God and his peoples. Magic is an innate part of the world and ebbs and flows into the mortal plane through natural passageways, often unsensed by those around them. These passages can sometimes become bridges to the extraplanar worlds which house these powers, typically the Feywild and the Shadowfell. Unnatural fissures can be torn open, exposing the Sea of Chaos to the mortal plane and causing dangerous fluctuations in magic. Bell, Book, and Candle is a magical practice of wizards which is considered by some to keep the soul untainted by forbidden arts. This is the most widely practiced form of wizardry in Alaria and has been exported to Dargaul and Etrae. It's also increased in popularity within the Realms of Sothis in recent years. These arcane magics are drawn from the elemental planes of air, earth, fire, and water. Bell, Book, and Candle wizards are simply wizards as presented in the PHB. While not truly magic by its definition, some beings are gifted with supernatural power by Adonai, the One True God. These include clerics of the Faith, the Way, the Maker's Craft, and the Woven Path as well as other spellcasters of these faiths. Not all followers of Adonai are gifted with this level of divine power. But those who are entrusted with these blessings can shape the faith of others and the world around them. The dragons are among the eldest shapers of magic. They draw on the raw power of the elements which course through them. Some dragons have taught their craft to others, such as the wizards of Alaria, and others, like the sorcerers of the Draconic Order of Dargaul, carry some hint of the power of dragons in their veins. The Draconic Order or Way of the Wyrm are an order of sorcerers descended from the line of Nal, the first of their order who was infused with draconic magics by the Dragon King five centuries ago. Each taking on the prefix Nal', these sorcerers devote themselves to the study of the arcane arts, history, and potion making, and serve their order, often at the Tower of the Wyrm in Draknar, or the Dark Lords of Dargaul as members of the Provincial Courts. A sorcerer of the Way of the Wyrm uses the Draconic Bloodline and the Way of the Wyrm background. The Dragonblood Sorcerers are those rare individuals with natural magic due to a draconic heritage. In Dragual, they are nearly always taken in and trained by the Way of the Wyrm. The Way of the Wyrm may also train other promising sorcerers in its ways. A Dragonblood Sorcerer uses the Draconic Bloodline. The Dark Lords are the rulers of Dargaul. These twelve are great warriors, granted one or more dragon companions, and gifted with the same blessing given Nal. The Dark Lords are Paladins with the Oath of Conquest, however they may draw their spells from the Sorcerer's spell list instead, but must choose. While there are other spellcasters among the dwarves and gnomes, such as the Artisans of the Maker's Craft and the Forge Keepers of Angaar, the most common magical practitioners for these forks are the artificers. Artificers imbue objects with magic through the use of ancient runes of power and rare substances such as magite, a magical, green mineral used in the construction of magic items. As the dragons, the elves and fey of Schön have used magic since ancient times and have a natural connection to the Feywild, the source of their magical power. Elves of Schön tend to be sorcerers more often than wizards. They often belong to the Divine Soul, Pyromancer, Sea Sorcery, Sorcery Stone Sorcery, or Storm Sorcery origins. Of course, there are studious wizards among them as well, particularly in the dawn, moon, and twilight elves. Scarlet elves tend to use Bell, Book, and Candle magic, as other Alarians. Faerie magic also includes the charms, illusions, and shape-shifting abilities that come naturally to some fey creatures. 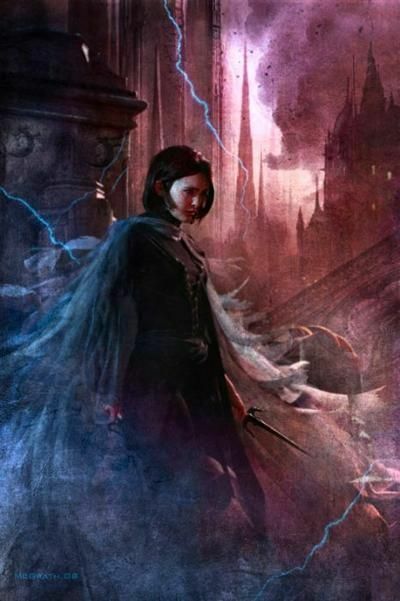 Shadowmagic is drawn from the Shadowfell, most often by warlocks and goblins, who have lost their connection to the Feywild. Warlocks are villains of Schön, making pacts with dark powers in exchange for magic. Unless noted otherwise, goblin spellcaster use the Warlock spell list. The Dark Consortium dwells in the Shadowfell and from here grant magic to their worshipers, be they clerics, druids, warlocks, or other spellcasters. Magic simply runs wild through some individuals, regardless of their race. Wild Magic is the most common sorcerous origin.